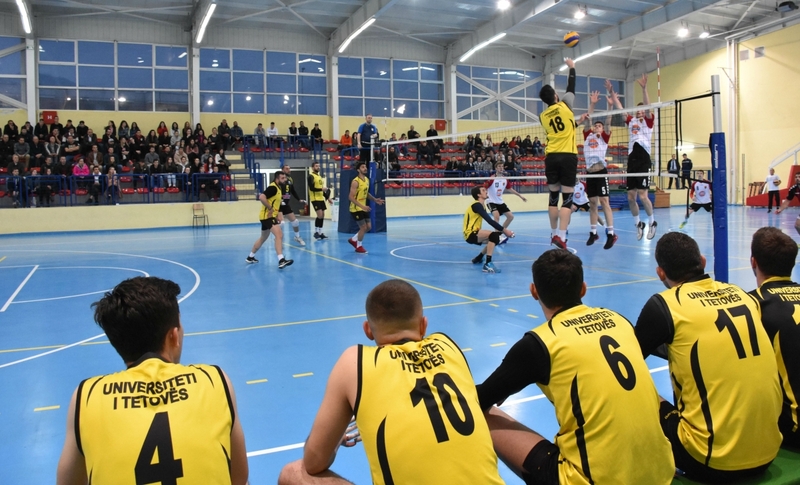 During the North Macedonian Men’s Volleyball Cup, on Wednesday, 10 April 2019, a semi-final of the cup was held between the VC “University of Tetova” and VC “Vardar”. In this match as well, the students of the University of Tetova managed to triumph over the VC “Vardar” with a total score of 3 to 1 in sets. With this victory, the VC “University of Tetova” qualifies in the finals of the Macedonian Cup, while the name of the other finalist will be announced after the match between VC “Shutova” and VC “Strumica”. The VC “University of Tetova” hopes that this year the volleyball cup of North Macedonia will belong to the students of Tetova, since from the beginning of the volleyball cup and championship the players have performed highly in the field.